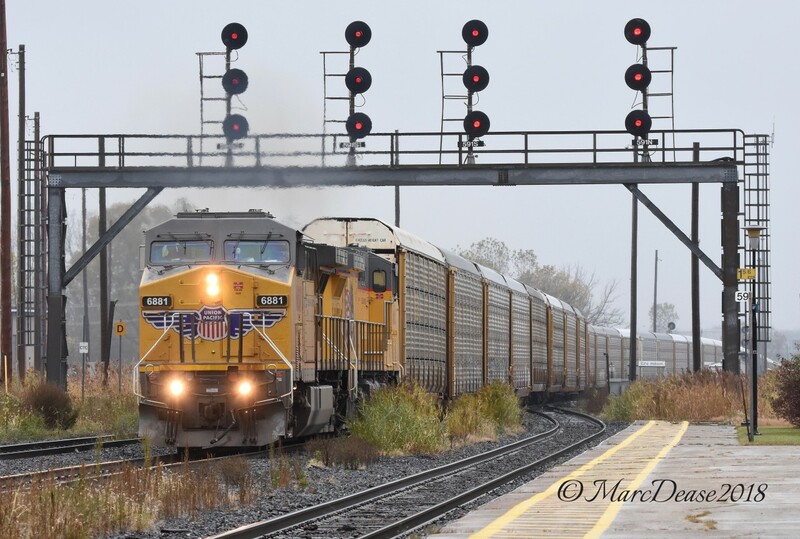 Railpictures.ca - Marc Dease Photo: There’s been a lot of interesting power through Sarnia lately and this was no exception. Double UP lashup with UP 6881 and UP 6665 roll past Hobson into Sarnia on a dreary fall day. | Railpictures.ca – Canadian Railway Photography – photographie ferroviaire Canadienne. Caption: There's been a lot of interesting power through Sarnia lately and this was no exception. Double UP lashup with UP 6881 and UP 6665 roll past Hobson into Sarnia on a dreary fall day.